Today, I’m calling on you, my dear readers (of which I have about two these days, but I still get an unusual number of hits from certain posts that are popular on Pinterest), to help a gal out. And that gal is not me. A reader recently posted a comment to a post in which I mention one of my editions of the Metropolitan Cook Book. She’s looking for a pair of recipes that she remembers her mother making, and now her own granddaughters are asking for the recipes, and might I or someone else reading the blog know how she can get them? Yes, indeed I do have those, Betty. Unfortunately, the email address associated with your comment doesn’t work, and the actual comment was lost (along with years’ of various post photos, oh dear) during a site migration I was in the middle of when your comment came in. I’m posting a quick snapshot of those recipes here, in the hopes that one of you may by chance know the Betty who seeks them, or barring that, Google picks it up and helps her out the next time she looks. And boy-o, this rice pudding recipe looks like a divine way to use my Pyrex 6283 “Rangetop Ware” double boiler! How about any of you? 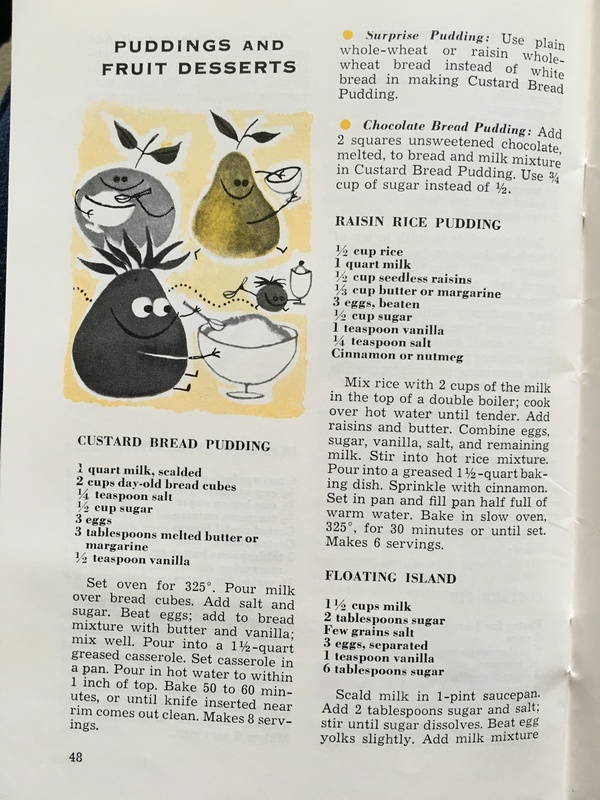 Any vintage recipe in particular that you’re trying to hunt down? Maybe I can help! Next PostNext Clearance sale! Get yer vintage pretties here!